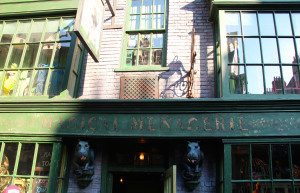 Just outside the Magical Menagerie, you can find the Silencio Interactive Spell in Diagon Alley. 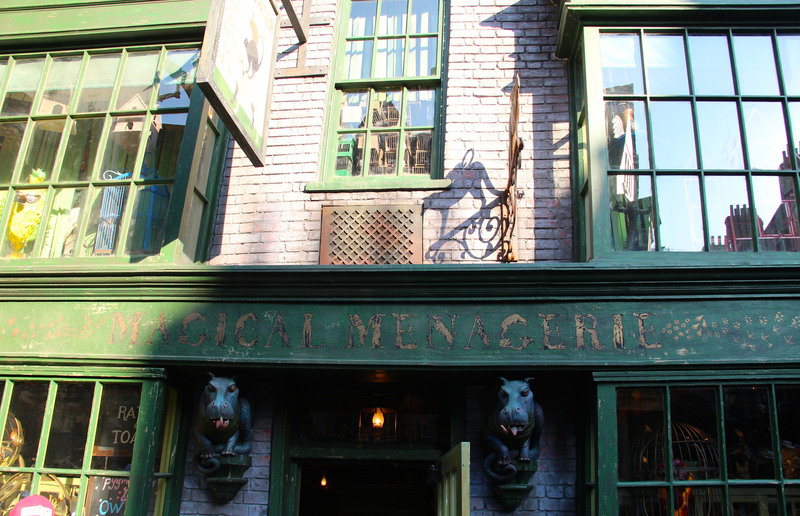 The Magical Menagerie is a shop in North Side, Diagon Alley. It is very cramped and noisy with every inch of wall covered by cages. It sells all kinds of animals – poisonous orange snails, a giant jewel-encrusted tortoise, sleek black rats that are very intelligent, owls, ravens, cats of every colour, Puffskeins, a Transforming Rabbit and much more. It was there that Ron Weasley gets some Rat tonic for his pet rat, Scabbers, (who was really Peter Pettigrew, hiding in his animagus form) and Hermione Granger gets her cat/Kneazle crossbreed, Crookshanks. This colourful shop is filled with displays of owls, toads, Hippogriffs, unicorns and other magical creatures depicted in the Harry Potter™ books and movies.